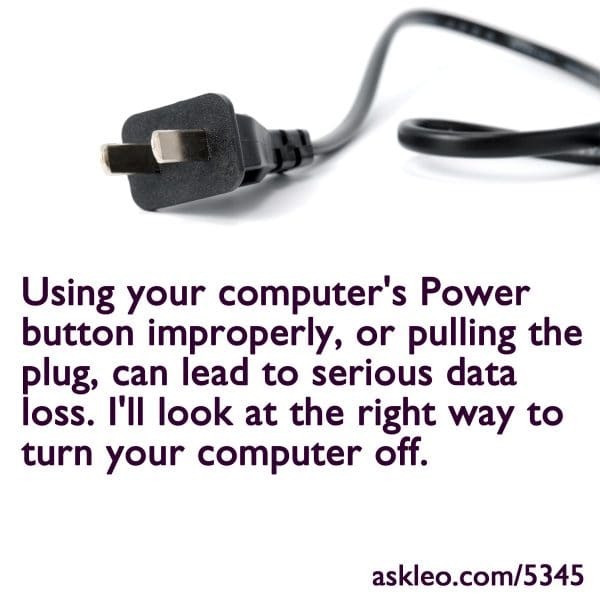 Using your computer's Power button improperly, or pulling the plug, can lead to serious data loss. - Ask Leo! Using your computer’s Power button improperly, or pulling the plug, can lead to serious data loss. Another story of data loss, and what could have been - I repaired a friend's machine's hard disk failure, only to discover something much, much worse: data loss.